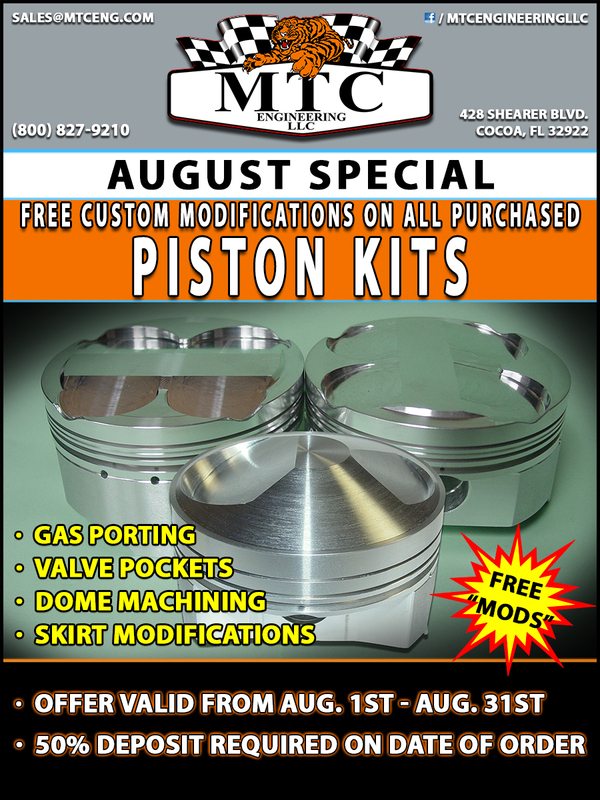 Amazing August Special on MTC Pistons – Free Custom Mods! MTC Engineering is offering a simply can’t-miss deal all August. Act now and take advantage of free custom piston modifications! MTC pistons are found in use in some of the world’s quickest vehicles. The company has an iconic and legendary history in the sport of motorcycle drag racing. Take advantage of this outstanding deal from MTC Eng.